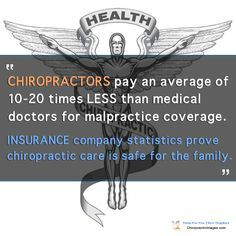 © 2015 Hallandale Chiropractic Center. All rights reserved. HOW WELL EDUCATED IS YOUR DOCTOR OF CHIROPRACTIC? 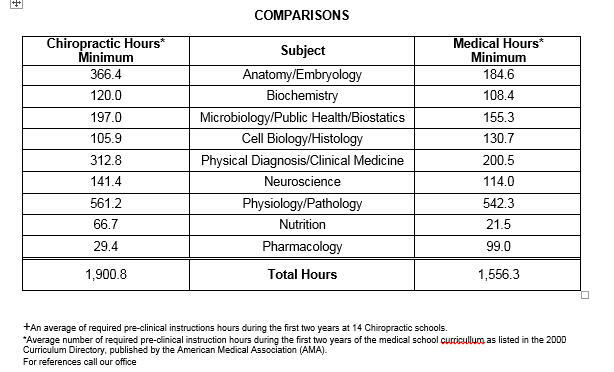 Have you ever wondered how much education your doctor of chiropractic is required to have compared to a medical doctor? Look at these basic educational requirements for graduates of both chiropractic colleges and medical schools. Each profession has its own specialties, but the hours of classroom instruction are about the same.